Louisiana is struggling with the aging waterway infrastructure and often has a backlog of ships waiting in its harbors. 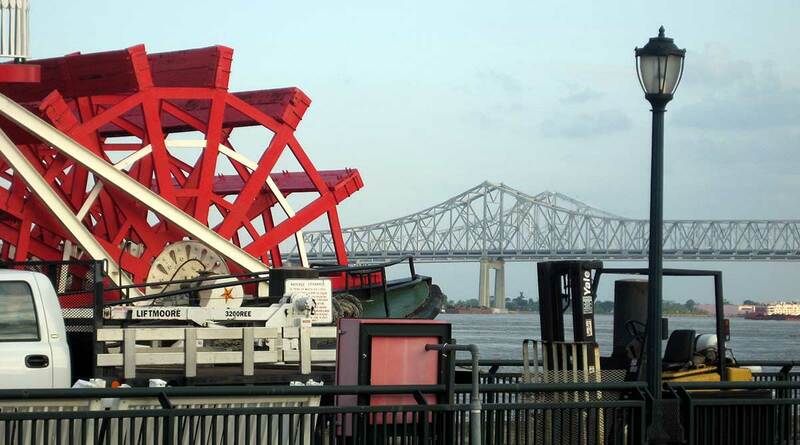 “It could be two to four days waiting to lock through,” said Vic Landry, USACE operations project manager in Louisiana. The Inner Harbor Navigation Channel in southern Louisiana is a critical piece of infrastructure for the nation. Closing it for four months last year, Landry said, disrupted shipping companies and their revenue. “I get a lot of feedback from my customers saying, ‘We have lost a lot of business because we know they [the locks] are going to be closed.’ It’s just an example, but there is definitely a downturn in maritime traffic, and the products do go to alternative forms of intermodal transport,” he said. In its 2017 Infrastructure Report Card, the American Society of Civil Engineers graded the nation’s inland waterways a “D”. According to the report, 49% of vessels experienced a delay averaging more than two hours in 2014. Unscheduled closures in the Port of Pittsburgh have been an increasing concern according to Mary Ann Bucci, the port commission’s executive director. “When it is an unscheduled closure, everything comes to a halt and, depending on how long it takes to get the lock up and running again, you’re just sitting there waiting to get through,” she said. The 20 locks that the commission oversees logged more than 17,000 hours of unexpected closures, which delayed ships passing through the waterway, in 2014. “Unscheduled closures are pretty costly to barge companies and users,” Bucci said. In a 2016 study, HDRinc., an engineering, architecture, environmental and construction firm, found that delays for the past 20 years, unexpected closures have cost shippers $61.1 million. These costs are associated with diversion of freight to other modes of transportation and wait times. The study was based off of the estimation that 1% of cargo is being diverted to other modes of transportation due to the delays. If not fixed, unexpected closures could cost shippers $242 million in diversion expenses to other modes of transportation. The Corps has begun an environmental impact study at the Inner Harbor Navigation Channel. Landry hopes that a new lock system will allow freight and larger barges to lock through more quickly.